Okay, I know everyone knows about the mega update the game will be getting soon, but I think I have copied all of it (as of 3/1/2010) to this post. I didn't think Square had it in them to be truthful. In attendance at the special talk session were Producer Hiromichi Tanaka, Director Koichi Ogawa, Battle Director Akihiko Matsui, planners Yoji Fujito and Mizuki Ito, and Global Online Producer Sage Sundi. The discussion revolved around the new content being planned for the upcoming version update as well as the game's future direction. * All announcements made are for content under development, and thus changes may occur without notice. New Wings of the Goddess missions will be coming to you in the March version update! The repercussions of Atomos' mindless devouring of memories and time have extended even to the present. 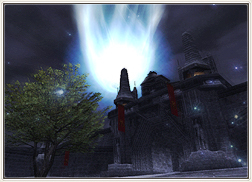 The ominous comet has again appeared, this time above the skies of San d'Oria and far closer now than ever before. What could this possibly portend for the future of Vana'diel…? What will become of the heroes and heroines of the Allied Forces? All will be revealed upon the release of the March version update! The Wings of the Goddess mission storyline draws ever nearer to its epic finale, with but one more set of episodes to follow those of the March version update. The three nation quest storylines, too, are set to reach their enthralling conclusions this summer. Astounding rewards await brave soldiers who would stay loyal and true to their nation till the very end! Among the new rewards will be formidable weapons that allow the wielder to employ devastating weapon skills formerly exclusive to certain Campaign NPCs. With the addition of Castle Zvahl to the Campaign battlefront, adventurers who fight bravely for the Allied cause will be rewarded with a chance to square off against the Shadow Lord himself! Needless to say, those who emerge victorious will be rewarded with spectacular spoils befitting their heroic deeds. 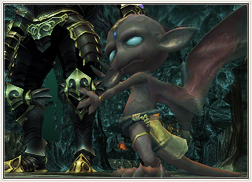 “Trial of the Magians” is the title given to a new quest series designed especially for level 75 characters. Trial of the Magians will be introduced to the game in multiple stages, with the initial set of weapon enhancement quests slated for addition in the March version update. A Trial of the Magians weapon enhancement quest can be initiated by first trading a suitable weapon to a Magian Moogle NPC, at which point a list of corresponding quests will be displayed. Players may choose a quest based on difficulty level and the enhancement they would like added to their weapon, which will be granted upon the fulfillment of the quest objective. A single weapon can undergo numerous upgrades. 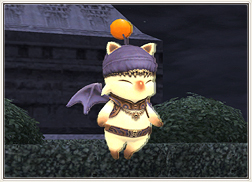 By trading an already-enhanced weapon to a Magian Moogle, players can undertake successive quests to have it further improved. Multiple quests can be undertaken simultaneously. By repeating the quests, up to 80 different features can be added to a single weapon. With figures such as Damage and Delay added to the equation, there exist 500 possible attribute patterns for a single quest branch! There are also plans to make it possible to enhance Relic and Mythic weapons through Trial of the Magians. While players can expect quest difficulty to far exceed similar quests released thus far, we are confident the rewards will make it more than worth the while! The job adjustments planned for the March version update have been announced, with further discussions revolving around the future direction of all jobs. Up until now, most job adjustments have been implemented with ease of party-forming in mind. From this point onwards, we plan to shift the focus towards ease of participation in endgame content. The role of each job will also come under review. Currently for instance, the role of debuffing enemies is the exclusive domain of only a few jobs, but we intend to examine ways to enable more professions to perform similar roles, empowering each with the capacity to handle a wider range of situations. Our goal is to achieve—without sacrificing the uniqueness of each job—greater ease of participation in endgame content and provide the opportunity for all participants to contribute equally. The scope of our vision for job adjustments does not stop there, however. Maintaining battle balance remains one of our highest priorities. As such, we intend to conduct reviews on an ongoing basis and introduce new equipment and adjust weapon skills as necessary. It is anticipated that the level cap increase will impact the balance of certain elements more than others. We will keep a close watch on these areas and, if the situation demands, review and reconsider even the adjustments that have been announced. Our ultimate goal is to provide the most rewarding, balanced play environment possible to all adventurers. - New synergy recipes for the creation of consumable items required to perform the ability will be with a higher rate of yield for HQ items. - Certain ingredients needed to synthesize/synergize the items will become more readily obtainable. Two new long-awaited avatars, Alexander and Odin will be added. Both new avatars will appear and do the summoner’s bidding only when Astral Flow is in effect. Be aware, invoking one or the other will automatically initiate Astral Flow, the effect of which will end upon the avatar’s release. In accordance of their introduction, summoners will become able to use the “Astral Flow” job ability even when no avatars have been invoked. Uses “Perfect Defense” to reduce damage sustained by party members and prevent status ailments. 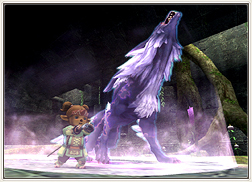 - Damage reduction and resistance rate will vary with the summoner’s remaining MP. Uses “Zantetsuken” to vanquish all foes within the area of effect in one fell strike. - When used against NMs, will instead deal damage. - Amount of damage dealt and accuracy will vary with the summoner’s remaining MP. - More monsters within the area of effect will reduce accuracy. With adjustments to attributes of the Harlequin and Valoredge X-900 frames and the performance of attachments, automatons will be made more durable against incapacitation. In addition, the hand-to-hand combat rating of puppetmasters will be raised from rank C to A, making them formidable combatants in their own right. The future direction of adjustments for all jobs beyond the March version update will be announced at a later date. History is about to be made as the level cap will be increased starting with the version update scheduled for this summer! The increase will take place in stages until the new maximum, level 99, has been reached. Visit the official Abyssea website for all the details! The Special Task Force has been as active as ever, employing their trusty “RMT-Pwner v1.337” and a host of other countermeasures—the Square Enix security token, fishing system adjustments, IP address blocking, and improved account screening, to name a few—in their sworn mission to purge Vana’diel of the dark armies of cheaters and RMT ruffians. 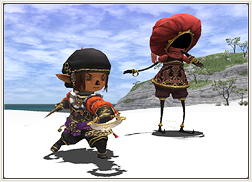 Though we cannot claim to have eradicated these nefarious influences from the game entirely, we feel confident that we have reached a point where they pose a minimal threat to the gaming experience of rule-honoring FINAL FANTASY XI players. The enemy is tenacious, resorting to /tell spamming, character hacking and other dastardly deeds, but fear not. For as long as evil exists in our world, we at the STF have no intention of laying down our arms in the fight! To streamline server maintenance and provide our users with a more unified gaming environment, the March version update will see the merger and integration of certain low-population Worlds. Further details will be announced at a later date, so keep your eyes on the official site for updates! With new areas to be introduced across two version updates this summer and beyond, adventurers will be able to explore the Walk of Echoes, the enigmatic wasteland of memories and time that has thus piqued many a player’s curiosity in the Wings of the Goddess missions. The Walk of Echoes will also hold the entrance to a new realm of high-end, expanded content. In anticipation of the level cap increase, the development team is hard at work preparing formidable new challenges for high-level players. These areas will also feature prominently as a destination in the Wings of the Goddess missions, as the epic storyline that has delighted fans the world over hurtles toward its hair-raising, heart-stirring conclusion! Battles and tales that are the stuff of legend—adventurers of all stripes are sure to find their thirst for exhilaration quenched in the Walk of Echoes! Following on the heels of the fearsome foes introduced in the November 2009 version update, hordes of new notorious monsters will be joining the ranks in the coming version updates. Even the most combat-honed adventurers can expect to have their abilities tested to the limit, so begin steeling yourself for battle today! 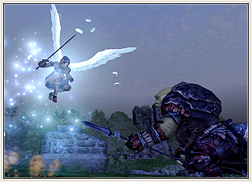 Adventurers who enjoy partaking in Vana’diel’s myriad seasonal celebrations will be pleased to hear that a host of new items are in the works for these events. These will include two new reward furnishings for the upcoming Feast of Swords in May, with various other surprises to follow in the months to come. Furthermore, the new set of formalwear that will accompany this year’s Adventurer Appreciation Campaign will have players looking more dapper and divine than ever as they ring in our 8th Vana’versary in style. And what better way to celebrate than with a spectacular installment of the Mog Bonanza? This year’s prize list is shaping up to be better than ever—a veritable bounty of tantalizing loot that includes spoils from the treasure hoard of none other than the infamous Pandemonium Warden! 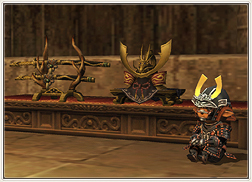 Still more attractive items, including relic/mythic equipment—first given away right here at VanaFest 2010’s Nomad Mog Bonanza—Dynamis currency, alexandrite and more are being considered for future bonanzas. We strive to continue our mission of offering players the most exciting prizes possible while preserving game balance. Whereas the recipes added in past version updates have centered on traditional synthesis, from here on players can expect a shift of focus to synergy. The new batch of new recipes scheduled for March will include new warp items and more! Future version updates will usher in an even greater variety of heretofore unseen items. Luxurious furnishings such as guild tables and extravagant musical devices, potent and powerful equipment, and much more await skilled synergists. An elemental staff-type weapon boasting multiple effects is among the unique new articles being considered. Going hand in hand with synergy is the evolith system, and the coming version updates will see these remarkable stones appear in ever-new and extensive varieties. What’s more, evolith will become available via treasure caskets with the next version update, making it easier than ever for adventurers to enter the exciting world of customizable gear! Planned for further down the line is the addition of job-specific emotes. The finer points of how these new motions will be acquired are still under consideration, but players can expect a charming set of animations that will allow them to role-play their chosen profession with greater expressiveness than ever before! Our goal is to achieve—without sacrificing the uniqueness of each job—greater ease of participation in endgame content and provide the opportunity for all participants to contribute equally. Thats it, they sold the game to someone else.. we definitely have a new game company updating this game now! The big wigs finally took all the crazy pills all at once. Damn well better be upping red mage sword skill as well if they're doing this for puppetmaster's hand to hand. After a 26 hour binge weekend back on, I tried to quit FFXI again, and then they go and pull this? Expect me to be back on before the world merge so I can just make sure I didn't leave anything in transit zone. Anyone know the actual date when all this craziness is supposed to start? I want to log in and ding 76! I want to see what these new weapons are for more weapon skills. Elmerthepointy ventured to Vanafest personally and recounts his adventures during that trip. I have only included the actual part that pertains to FFXI. The other parts have some great information on Japan and stuff of that nature though. Hope you enjoy and click on the small pics for larger versions. Opinions of every variety have been flying across the forums after players were hit by the numerous bombshells dropped at VanaFest this year. Whatever side you may be on, you cannot dispute that the face of Vana'diel will be forever changed. Unexplored areas, 24 more levels to surmount, fresh-looking Notorious Monsters, enhanced jobs, weapons infused with untold power... the announcements just seemed to keep on coming! For a persistent online world 8 years running, it looks like Final Fantasy XI is finding brand new life. The "death" of FFXI has always been the topic that would never die. If anything, VanaFest should put that fear to rest. With the wealth of new content planned for this year alone, adventurers will have no trouble filling their online hours with new quests and goals. Let's jump in a take a look at what the developers brought to the table in Tokyo! In this final wrap-up, I'll take you through the announcements and information that rocked the world of Vana'diel. In upcoming Version Updates, players can expect a slew of brand new Notorious Monsters. The developers indicated these will be different than what they have added in the past in terms of both style and difficulty. Just from the pictures, one can see they are designing some unique models that adventurers have never encountered before. The giant slime in particular drew a strong reaction from the crowd, which broke into further laughter after the MC let out a "デカイ！" (huge!) upon witnessing the great creature for himself. 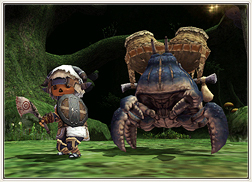 During the following discussion, it was also hinted that the massive crab monster could become a summonable pet for Beastmasters. However, it would have to spawn from a HQ2 or HQ3 version of a recipe. Still, no solid details have been decided upon as of yet. 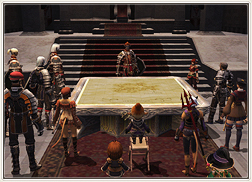 Square Enix has decided to try their hand at FFXI add-on scenarios again with the announcement of the Abyssea series. This year, players will be able to purchase Vision of Abyssea, Heroes of Abyssea and Scars of Abyssea. In a change from last year's offerings, these particular add-ons will include all-new areas and montsers to challenge adventurers. Instead of a quest lines, Abyssea will feature numerous "battle areas" aimed at high-level players, along the lines of Dynamis, where they can enjoy fighting epic battles and obtaining powerful equipment. The idea is to make a foray into Abyssea something that players can put together and enjoy without the need for excessive amounts of free time. 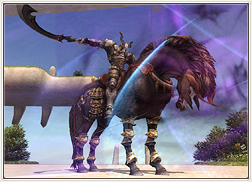 The first set of battle areas in Vision of Abyssea is set to hit PlayOnline in early Spring. Heroes of Abyssea and Scars of Abyssea will then be released in succession with a few months between each title. The current price is listed at 980 yen (about $10). Don't forget to click on the above picture to the right to enjoy the official Abyssea promo art, superbly drawn by Jun Suemi! An interesting thing to note is how the adventurers are falling into Abyssea through the maw of Atomos. In addition, the first add-on, "Vision of Abyssea," is called 禁断の地アビセア (kindan no chi Abisea). 禁断 means "forbidden," and the word is shared with the Japanese name for "Cavernous Maw" i.e. 禁断の口 (kindan no kuchi) lit. "forbidden mouth." 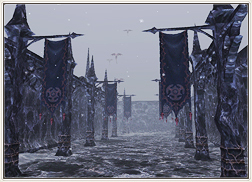 Perhaps the Cavernous Maws spread across past and present Vana'diel will come to have a second purpose. The parallel world of Abyssea will bring more than just mystery, though, it will also contain many new creatures and the ancient treasures they protect. Pictured above are three of the monsters one can expect to see in the upcoming add-ons. 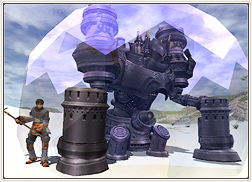 Could it be that Iron Giants will make their FFXI debut? The developers stated that players can expect completely new types of monsters as well as creative versions of old NMs and bosses. One thing that is certain is AF3 will be among the prized equipment up for grabs. So far, Square Enix has only teased us with Paladin and Black Mage AF3, but the aforementioned artwork for Abyssea may be giving us a glimpse at the garb for some other jobs as well. Speaking of which, one can see a number of weapons circling those free-falling adventurers. Will the advent of new AF armor also bring new AF weapons? The Allied Forces cross Xarcabard to storm the lair of the Shadow Lord himself! The mysterious comet appears over present-day Sand'Oria! It's been a long and arduous road, but story of Wings of the Goddess is finally reaching the climax! After the March update, only two more updates remain to close out the expasion's tale. In addition, all-new Campaign zones will open, allowing players to battle the Beastman Confederate inside Castle Zvahl Baileys, Castle Zvahl Keep and the Throne Room! The Shadow Lord is an imposing figure, to say the least, but in the past he is fully armored and sports a brand new greatsword! Players will be able to take on the Shadow Lord through the Campaign system, though the developers warn it is not something one can do at the drop of a hat. They also took the time to caution everyone that the Shadow Lord is exceptionally strong as well. On a positive note, they felt defeating such a great foe deserved a unique reward, and so they prepared some Shadow Lord equipment, pictured above. So far, they displayed a greatsword, breastplate and helmet. Other additions to Campaign will include higher ranking medals that unlock new rewards. Among these, will be weapons that grant the ability to use Campaign-exclusive Weaponskills. The ones shown at the event were Glory Blade, Tartarus Torpor and Uriel Blade. However, the power of these attacks are so great, that the developers unfortunately will limit their use to Campaign only. The audience did not seem to mind though, as seeing Uriel Blade up on the big screen stirred up a round of great applause. One other addition to the Wings of the Goddess expansion that was announced is Walk of Echoes, an area that will open up to players who make it to the end of the story line. The Walk of Echoes will be connected to some of the final missions and serve as the entrance to all-new high level content. This content will not come in March, but will begin to be released as the level cap is raised. The focus will be similar to Abyssea -- giving elite players a unique battle experience where strategy is the key to survival. This was easily one of the biggest shocks of the night. Tanaka, on stage at his little desk, simply asked us to "watch this next clip." There were two characters, Vanafest and Vanafes, beating away on a bird in Caedarva Mire. Nothing of interest was really happening, and then suddenly the bird is defeated and falls down... just like that. But suddenly both characters Level Up, and everyone's eyes shift to the chat dialog: Level 76! That shock was only the beginning, as the next slide teased what the next cap could possibly be, and then... 99! Characters can now progress all the way to Level 99! The main reason the developers gave for raising the cap was to change the way the game is played. Before, they needed to cap players or else each Notorious Monster that was introduced would quickly become child's play as the players leveled past it. However, with these new add-ons and a slew of NMs in the works, the developers want to focus on strategy over power and provide a unique experience for parties. As Matsui said at the event, they feel it is time to let players get stronger so they can counter with powerful enemies and reward those victorious with new treasures and equipment. Naturally, this will open up a slew of new possibilities from support jobs alone. A few of the examples they showed were Samurai using Haste Samba, White Mage using Convert and Monk using Aggressor. However, not every Ability is guaranteed to appear in its fully powered form when its host job is subbed. Some Abilitiies will need to be toned down, and there may be rare cases (such as Call Wyvern) where the Ability is unusable. It will take some adjusting, but the developers sounded excited to see how the players will improve and grow. People worried about losing their defining Abilities will be happy to hear that new, more powerful versions will be added to compensate. Specifically, Red Mages were mentioned, and promised that while Jobs could sub Refresh, an extra potent Refresh would become available at a higher level. In an interview conducted after the event, Matsui had the chance to further elaborate on the new Level Cap. The first jump will take the cap from 75 to 80. There will not be Limit Break quests as we have done in the past, but there will be some requirements to fulfill. Overall, there will be no adjustments to existing NMs or large-scale battle content. Matsui feels it will be beneficial for players to be able to complete such content with smaller numbers. As characters progress, there is also the fear that the equipment they acquired through such time and effort will quickly become worthless. This was considered as well, and the new Trial of the Magians system will allow weapons and armor to be upgraded with a range of new powers. With the Level Cap increasing to 99, every Job in the game is set to receive a little makeover. The developers stressed how they wish to rebalance the Jobs along the path to 99, and help inject variety into their role while making them more appealing for endgame activities. There will also be a set of Job-specific Emotes, of which two were showcased on screen. A Warrior cracked his knuckles and gave a "bring it on" gesture with his hand while Thief threw down a smoke bomb and became invisible temporarily. So, what are the gameplay changes we can expect? *Note: Many of the adjustments in this section were ideas being tossed around by the developers. There is no guarantee they will make it into the game, and if they do, in what shape or form they might appear. Warrior was designed as the orthodox attacker-type Job. They can equip the widest variety of weapons and armor, and have both offensive and defensive Abilities. Going forward, the developers want to enhance a Warrior's role as the point-man, leading the attack and maintaining party cohesiveness. To that end, they may receive a new Ability that aids them in tanking. Monk has a number of Abilities that focus on the character itself, but the developers want to add more outwardly focused Abilities based on timing. These techniques would be most effective based of the condition of the monster or the party. One example was an Abilitiy that, with the right timing, could hinder the enemy's movement. White Mage is a Job that has received several adjustments over the past year and now has many technical aspects in its role as a healer. Besides being an expert healer, White Mage may receive some tweaks to allow it some bonuses for fulfilling this purpose. For example, there could be an Ability that lets the White Mage fire off one attack spell at no MP cost after healing a certain total amount. Black Mage was jokingly said to be the Job that keeps blasting away like crazy till it's swatted down and killed. Still, the developers realized this is the way people enjoy playing the Job, so they won't fight it. Black Mages itching to deal out the damage can look forward to learning Meteor as the Level Cap is rasied. Red Mage came up on the screen, and the first thing Matsui said was, "Red Mage... is pretty strong..." which got some chuckles from the crowd. Still, they don't want to do anything to discourage people from leveling it to 99. As other Mage Jobs catch up to Red Mage with access to Convert and Refresh, Red Mage will continue to be balanced against them on the road ahead. Some ideas include giving Red Mages more free time during parties and improving their Enhancing prowess, but Matsui apologized saying they would have to play it by ear. Thief employs a unique set of Abilities, but also relies on the party to bring out its full potential. This is the form Thief will retain, but expect new variations where instead of matching the pace of the party, the Thief will instead be able to direct the flow party through the use of its techniques. This will include new ways to manage Enmity, allowing the player to more freely raise and lower Enmity and avoid dangerous situations. For endgame content, the Thief may also be improved to deal out more damage. The Community Team Twitter also indicated an enhancement to Treasure Hunter and a new Steal Ability could be in the works. Paladin has received a number of upgrades to enhance its role as a tank, and the developers are looking to secure that position as Paladin makes the climb to level 99. As enemies get stronger and stronger, they need to be careful about balancing the defensive power of the Paladin as well. This Job is meant to lead the party, and so will receive other Abilities to protect its members, including ways to give the Cover Ability more usage (a Paladin trademark they feel doesn't see enough action). Dark Knight has become a little too much of a self-destructing Job, in that it simply tears through enemies while destroying itself in the process. The feeling is the magical side is under-utilized, so expect some improvements to Absorb-type spells as well as a method of recovering MP. Bard is a powerful Job that raises the base strength of the entire party, but there are still some issues present. First and foremost is the inability of a Bard to cast songs on themselves. Either you get what you cast on your party members, or you quickly overwrite anything song you had active on yourself before. A way to make songs on oneself immune to being overwritten is being discussed. Also, now that Bard pulling is common practice, they are looking for a way to increase a Bard's survivability during a long or tricky pull. To help manage instruments, the Magian system may allow for a single instrument to support bonuses on multiple song types. Beastmaster will have the benefit of getting more to do with Call Beast. In the next Version Update, they want to soften the rarity and price of Call Beast items so Beastmasters can use them more freely. In future updates, pets from Call Beast could gain new traits like Subtle Blow, the ability to grow and improve like Wyverns and maybe even some unique attacks. Ranger is set to focus around the theme of dealing damage while constantly assessing one's Enmity and distance from the enemy. In addition to its role as an attacker, the Ranger will gain more control over its own Enmity level. Two examples of possible future Abilities were one that consumes an arrow and bullet at the same time for double damage, and another that when used at the proper distance, reduces damage slightly while decreasing Enmity. Samurai , compared to most other jobs, is the most versatile and useful across a wide variety of situations. The plan is to maintain its position as a strong attacker, and let other Jobs play catch up on the way to level 99. Also, Samurai may be made more enticing as a Support Job by, for example, lowering the level of Sekkanoki to where it can be subbed. Ninja has secured its spot as a tank, but the developers are considering the need for an Ability that allows them to sharply increase Enmity, akin to Provoke. However, rather than a simple spike of hate, they want it to entail more collaboration with the party itself, so there is still more discussion to be had before the Ability takes shape. Another consideration is Ninjutsu one can employ as backup when suddenly stripped of their Utsusemi shadows. Regarding Utsusemi, they are considering having the icon display your remaining shadows. Dragoon has a style all its own, but the developers would like to remove the limitation that Healing Breath has in regards to being linked to only certain Support Jobs. However, they first have to consider how strong Healing Breath with each Support Job might be, and in the meantime may consider new breath attack as well. Matsui also commented a new Jump Ability might be in the works. Summoner surely took home the gold in Tokyo, getting two brand new Avatars as part of its Job Adjustment package! Alexander and Odin, featured in the Treasures of Aht Urghan expansion, will arrive along with the March Version Update. These special Avatars can only be used with Astral Flow active, but contain some powerful abilities. Alexander uses "Perfect Defense," which gives all party members damage reduction and protection against status ailments. Odin has his trademark Zantestuken, which can instantly kill monsters within range. The accuracy of this attack is affected by the Summoner's MP and the amount of enemies in range. Against NMs, Zantetsuken will simply deal damage. 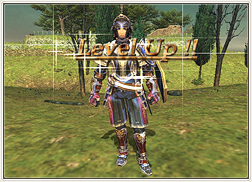 As Summoner climbs towards the new Level Cap, all Avatars will be receiving new Blood Pacts. Corsair is based on playing the odds and trying to get that lucky number 11. To that end, some extra bonuses could added to make reaching that 11 even more beneficial for the Roll's effect. Also, they are considering making the Corsair a stronger damage source for parties. Puppetmaster will get some love in the March update, with the master's Hand-to-Hand skill being raised from C to A. While their offense goes up, the Automaton's defense is set to be boosted as well in an effort to increase their survivability in a fight. In case the Automaton still manages to fall, a reduction to the recast time for Activate is also being considered for farther in the future. Other possible future tweaks include making it easier to heal the Automaton and making the Valoredge more of a match when tanking enemies. Dancer is being looked at for some detailed changes, such as being able to cast Waltz on players outside the party. This will help in particular with NPCs fighting alongside you in Campaign for instance. After testing out that change, the developers want to re-examine how Dancers become too ineffective without TP and find a solution. Another idea is to increase the effect time of Sambas and Steps to allow a Dancer more freedom in a party. Scholar uses its array of Abilities to manipulate magic with skill and finesse. The developers are happy with this role, but want to be careful not to add too many Abilities and over-complicate the Job. To avoid this, they want to focus on adding new spells rather than Abilities after the Level Cap is raised. These spells will still be designed to keep with the "strategist" theme of a Scholar. - "3rd set of strongest weapons" i.e. enhancing Relics and Mythics into a new set of ultimate weapons. During the "this and that" parts of the Talk Sections that focused on miscellaneous additions, we were promised new furniture and outfits. There were some pieces of concept art shown and a few pictures of finished items. 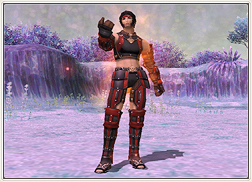 From this year's Feast of Swords event, players can get all-new Samurai-themed Mog House decorations. 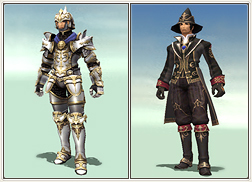 The upcoming Adventurer Appreciation Campaign for the 8th year of service will bring a new Tuxedo to adventurers' wardrobes. Details on how to obtain these items should be announced soon.